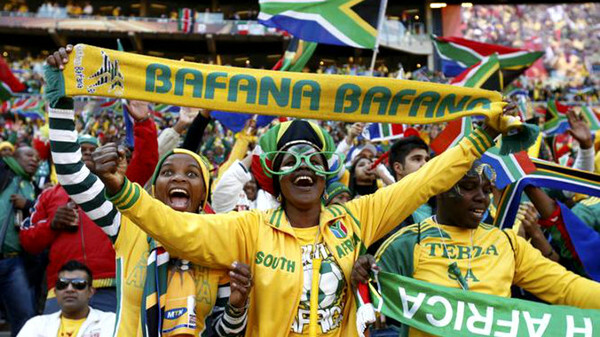 Bafana Bafana’s Africa Cup of Nations qualifiers resume at the end of March against mighty Cameroon and it is indeed time to take a look at how the team can turn the tide, climb the world rankings and qualify for big tournaments again. It is fairly obvious that there needs to be a huge overhaul within the entire South African footballing system. * Grassroots development and youth structures: football talent must be nurtured from a young age like they do in Brazil. Trying to coach an 18-year-old into the next Ronaldo is just not going to work. Specialised skills such as positional awareness, technique, ball retention, ball control, game pace, what do when possession is lost and use of the ball in tight spaces are best taught from a child’s initial school years onward. Also, youngsters must be taught to improvise and think “on their feet”. The national coach must not waste time teaching a striker how to “finish” for example and, must only focus on overall strategy. Schools, both private and public, as well as football clubs play a vital role here. Team values and discipline must also be taught young. There are systems in place already but it is obviously not nearly enough. * Vision: a national footballing identity/”playing style” must be implemented, followed and standardised across all age groups, leagues, academies and clubs. Spanish tiki-taka is a great example. Even though it is a different sport, the All Blacks running/attacking style is yet another example of how all tiers, teams and players follow one pattern from youth levels to professional. The Italians are known for their defensive capabilities, what should Bafana be known for? * Proper administration: this starts with the highest body, Safa down to the Premier Soccer League (PSL), lower leagues and local provincial structures. Proper regulations, licensing, procedures and standards must be adhered to and the right people employed to do the job with cronyism and nepotism rooted out. The constant rift between the PSL and Safa about player availability must be resolved. Corruption issues and financial irregularities must also be tackled. * Private school support: independent schools across the nation have produced world-class individuals in codes such as cricket, rugby, golf and swimming. Soccer is just not a priority. If such schools with international standard facilities take soccer seriously, we will be producing the next Lionel Messi in no time. * Establishment of high-performance centres, football academies and specialised technology-driven training centres in all nine provinces. These must be run by qualified individuals. Artificial pitches must be built across the country, particularly rural areas. These must be in line with international standards. There are some in place already but they are either not being managed properly or are being neglected and taken for granted. * Investing funds into the development of licenced coaches, coaching systems, training programmes and talent scouts, in order to find talent. This must involve outsourcing of international advisers, professional analysis services and proven coaches. This will take care of technical inefficiencies in our football as well as tactics and tactical awareness issues. Rope in specialist consultants for specific functions such as a world-renowned goalkeeper to mould young shot-stoppers instead of the head coach doing this himself. Scouts must cover every inch of the country. * A scientific approach to the game in order to enhance physical and mental aspects must be covered, to improve performance. This should focus on aspects such as correct diet, nutrition, gyming and training methods in line with the highest standards. Psychological aspects such as developing a player’s emotional intelligence must be included, with mental toughness inculcated here too. Individual programmes must be utilised to enhance focus and laser in on each player’s strengths and weaknesses. A greater emphasis on statistical analysis of each player and each match must be taken into consideration. Again, this is why the All Blacks are always a step ahead. Being innovative in this approach and also conducting tons of research is vital. * The PSL: with very few of our players enjoying the luxury of European football, the local league remains the main feeder for the national team. We need to actively try and curb the number of foreign players in local clubs and give home-grown talent more opportunities. The English football team suffers due to the many foreign players in their Premier League. * Communication and continuity between the various structures: proper communication between the PSL, national first division, second division, regional league and local football association leagues is paramount. Junior teams (under-17, under-20 and under-23), must have continuity in a sense that if the coach of the under-20 team leaves, the assistant coach takes over as head coach and the under-17 head coach takes his place as assistant under-20 coach. This system is the best way to manage both coaching as well as player talent properly, all the way to the top and get the right players into the national youth teams and eventually Bafana Bafana. Indabas and workshops will help here as well. * Incentives, scholarships and bursaries: this will allow young talent to flourish and encourage them to pursue their footballing dreams while also taking care of their academic needs. Funds must be set aside for this and it will help disadvantaged and poor athletes. * European experience: local players plying their trade in competitions such as the Champions League against the world’s best, provides invaluable experience that cannot be bought and goes a long way to closing the gap in terms of playing quality and increasing our own standards. Agents are vital here but the only way for players to attain such contracts is to perform internationally and get recognised. With a little bit of hard work, I am confident that we can become a world superpower again, as we were when we won the Africa Cup of Nations 1996 and were ranked in the world top 20. The funds are there and our local league is rich enough. It is the most popular sporting code in the country and talent will always be surfacing. We need to stop being lazy, celebrating mediocrity and having the wrong administrators running the game. Spain took almost 100 years to win a world cup so surely we do have some hope left. The government, with a special effort form the sports minister, needs to have a solid and amicable relationship with the national football body and both have to be on the same page with one common goal. Implementing all of the above together is the only way that positive change can be ignited and indeed sustained. Dhirshan Gobind is a 30-something freelance sports columnist/writer and a University of KwaZulu-Natal alumnus with a degree in marketing management. He also has a tri-weekly column in The Post.